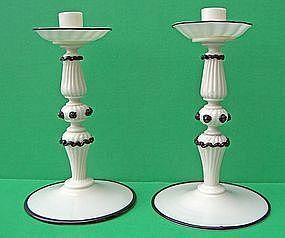 Murano art glass candleholders, thin and delicate, black and white glass, circa 1930's. Candleholders measure appx. 10 1/4" tall. Base measures appx. 6" in diameter.